Here at HubSpot, we’re big fans of trying new things. We’re into experimentation. We’re into approaching our work differently than we may have previously, and taking on new projects that — we hope — will result in providing something that is helpful to those who come to us for information. A little over a year ago, we embarked on such a journey: one that would bring the latest news and trends in the technology realm in a way that’s relevant to marketers and small-to-midsize businesses. Now, as 2018 is coming to a close, we’re looking back on the news we’ve covered this year, and which stories were the most popular. To us, that’s a key indicator to the most pivotal moments in tech this year, and a key to predicting what’s to come in 2019. These are our top 10 news stories of 2018 — and what they say about the tech landscape this year, as well as what to look out for in the next. 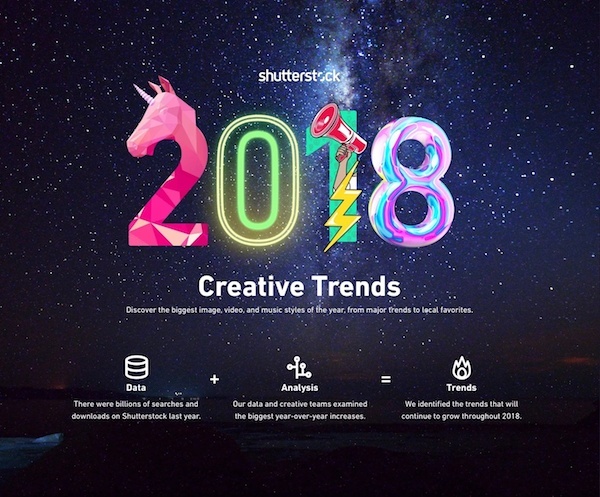 Shutterstock, a familiar name to many creative professionals, kicked off the year with its 2018 Creative Trends Report to summarize design trends marketers might want to know about. We wrote up the report — and it was our #1 news post of 2018. The report was the result of synthesizing and analyzing the billions of searches for visual content on Shutterstock’s collection — which boasts over 170 million images — and determining which design concepts were most likely to influence creative marketing and design. The release of the report might have been a nod to the deemed value of visuals — you can check out some statistics on how it can boost marketing content across a variety of formats and channels here — as well as what many predicted to be key trends beyond imagery based on searches and top news stories from the previous year. 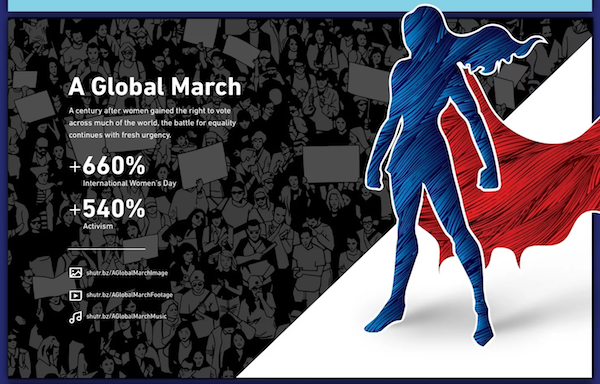 Looking ahead to next year, we wouldn’t be entirely surprised to see design themes pertaining to “a global march” continue to trend — with perhaps some inspiration from this year’s much-discussed tech topics, like automation. Who could forget what was arguably 2018’s biggest tech story of the year: The improper harvesting of personal Facebook user data by a voter profiling firm Cambridge Analytica to help inform and compose influential messaging to sway consumers … or voters. 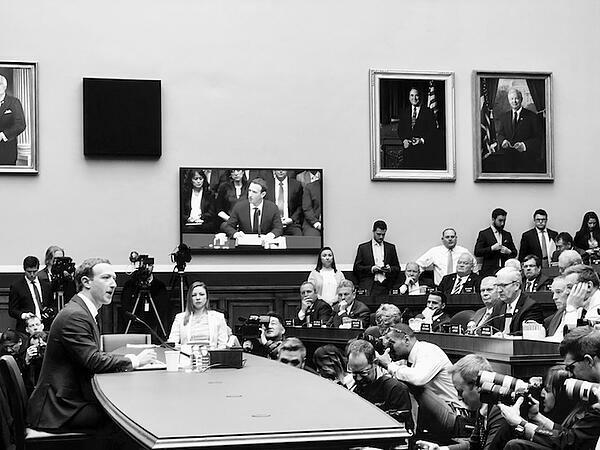 The harvesting activity left 87 million accounts jeopardized — and set into motion a series of events that would shape the way people discussed and used social media throughout the rest of the year. Social networks modified the way everyday users, brands, and app developers could use them, with modifications made to their terms of service, data use rules, and privacy policies. Tech executives appeared in high profile hearings and testimonies before U.S. and European lawmakers. And after news of the Cambridge Analytica data issue emerged — it seemed that the negative reports about Facebook just kept coming. How this news will continue to reverberate into the next year remains to be seen, but it could go in a number of directions. Although less-than-positive stories about Facebook continue to emerge in the last month of 2018, our research has repeatedly shown that most users have yet to stray from the network for a number of reasons. While some of these trends panned out more than others — 5G and virtual reality both have yet to make the big splash that was anticipated — while voice technology continues to progress and appear on a number of different platforms. And seeing as 25% of people believe that all searches will be done by voice within the next five years, we wouldn’t surprised to see that trend continue to progress. One of the key items to result from Facebook’s Cambridge Analytica crisis was the company giving users the ability to download their full personal user data files. We decided to give that option a try, and it was … an odd experience. One of the highlights, if you will, of the report was that it includes a record of user activity Messenger — that is, it contains a transcript of every Messenger interaction, replete with any photo or video files shared in those conversations. Just this month, for instance, news emerged that 500 million people were impacted by a breach of Marriott customer data. Before news of the Cambridge Analytica scandal broke in March, Facebook kicked off the year with another big announcement: It would be revamping its News Feed algorithm to prioritize content from friends and family over that from pages. By August, that change had result in a drop in engagement for Business Pages — within some categories, by as much as 50%. 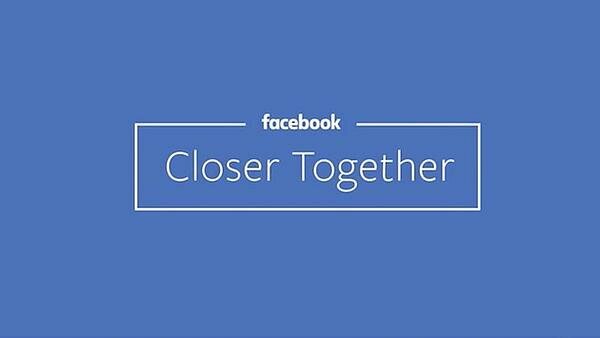 And while our research has shown that users within the U.S., UK, and Canada are reluctant to leave Facebook, the primary reason across the board is to maintain connections with friends and family — not to follow brands or other pages. So, will this trend continue into the new year? Possibly. 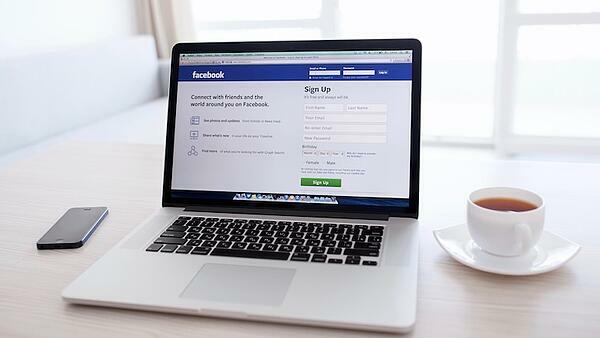 Throughout its 2018 earnings reports, Facebook saw plateaued growth in the U.S. and Canada, which could have resulted from the combination of decreased Page engagement, a narrowing number of advertising channels, and slowed user growth. But that doesn’t mean that marketers should give up on social media completely. Every March, enthusiasts and experts from all corners of the world — from interactive fields, to film, to music — gather in Austin, Texas for several days of education and experiences that celebrate their respective fields. 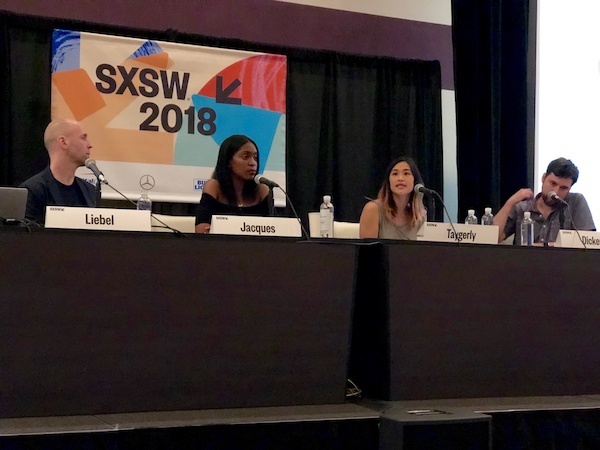 This year, Teen Vogue‘s Rajni Lucienne Jacques, Facebook’s Tutti Taygerly, and Instagram’s Joshua Dickens gathered on a panel to share their insights on what followers want the most in today’s climate. 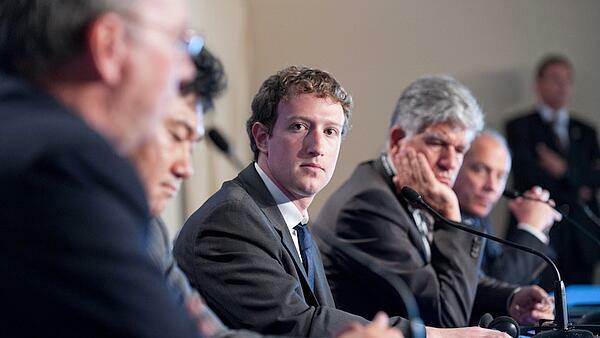 Note: This panel discussion took place a mere few days before news of Facebook’s Cambridge Analytica crisis broke. If anything — and as a result — in the year to come, these points may become even more true. Even though we mentioned this story earlier, it wasn’t quite as big a story over the course of 2018 as the drop in Facebook Page Engagement that potentially resulted from it. While news of the Cambridge Analytica crisis hadn’t yet surfaced when this change was made, the News Feed algorithm update was likely made in response to and earlier Facebook scandal — when details emerged that the network had been weaponized by foreign actors to spread misinformation and influence the 2016 U.S. presidential election. Again, our data reflects that this emphasis on “personal network” content will continue to through the next year — especially as Facebook begins to explore other revenue channels in the face of the aforementioned slowed user growth, such as advertising through WhatsApp, one of its portfolio companies. 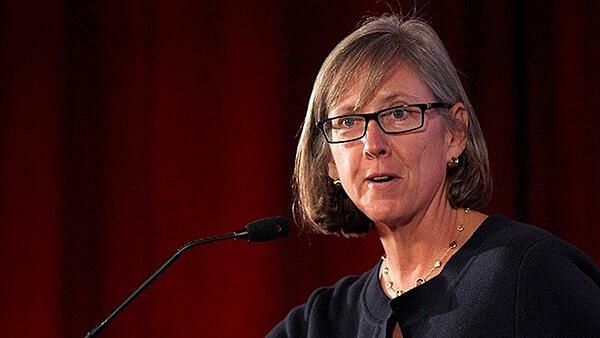 Each year, marketers, tech writers, and overall online enthusiasts await the release of the Internet Trends Report: an annual presentation by former Kleiner Perkins Caufield & Byers partner Mary Meeker, covering the year’s most pivotal statistics and trends in the online realm. Meeker has since left the firm, leaving many pondering the fate of her annual report in 2019. But in 2018, the report was the subject of one of our top news stories, and left us with four key questions. Now, a few months later, here are the potential answers we see for the coming year. The time internet users spend online has increased, but when it comes to the number of new internet users, growth has significantly slowed. Does the future of growth reside in ways for people to connect, rather than getting more people online? Possibly. While growth on Facebook has plateaued, companies are creating more ways for people to connect, particularly by way of gamified and chat-fueled video programming. If the answer to that question is “yes,” could this trend be a “golden ticket” for emerging technology like virtual reality, which has struggled to get a strong foothold in consumer and business markets alike? Not really — not yet, at least. Have a look at our data on what’s slowing the progress of virtual reality as a mainstream technology. Meeker speaks to the “privacy paradox”: that as innovation becomes a broader channel for growth, it involves a higher degree of personalization that can inevitably require personal user data. 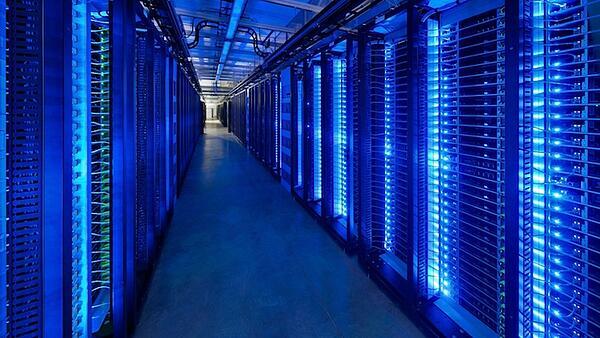 Can there be innovation with regulation? The idea of “data protection for a price” is not new — and given the aforementioned breach news, isn’t going anywhere — nor is it tremendously popular, according to our research. When we surveyed a panel of 893 consumers across the U.S., UK, and Canada to find out how many would pay for an ad-free version of Facebook, 64% said “no.” But knowing how this will impact innovation and the industry at-large would require a side-by-side, longer-term comparison of what these varying levels of regulation look like — especially in the months that have followed GDPR coming into force. What, if any, is the psychological impact of the growing amount of time we spend online? Well, it might not look great — though it would be interesting to measure user sentiment and response to this question now that more companies and apps — like Apple, Facebook, and Instagram — all rolled out dashboards in 2018 to give users a snapshot of how much time they spend using each. How that will bleed into the way we approach time spent online in 2019 remains to be seen. Earlier this year, LinkedIn announced that it plans to overhaul its feed ranking system to help more creators get better engagement on the content they share. The changes were spurred when the professional networking site discovered that the top 1% of content creators — also known as “power users,” or perhaps influencers — were receiving the vast majority of engagement with their posts. 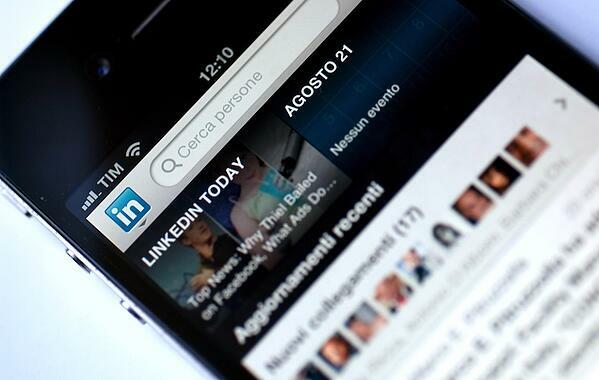 But LinkedIn’s 2018 changes didn’t end there. The network is also rumored to encroaching on the success of its social media peers by introducing features similar to those found on Facebook and Snapchat, for instance, like “reactions” and Stories. As Facebook’s active user counts plateau in its most lucrative markets, it’s left many speculating if other users are working to leverage that development — as well as the less-than-positive attention it’s received this year — to create networks for users and businesses alike that could, (way) down the line, replace it. 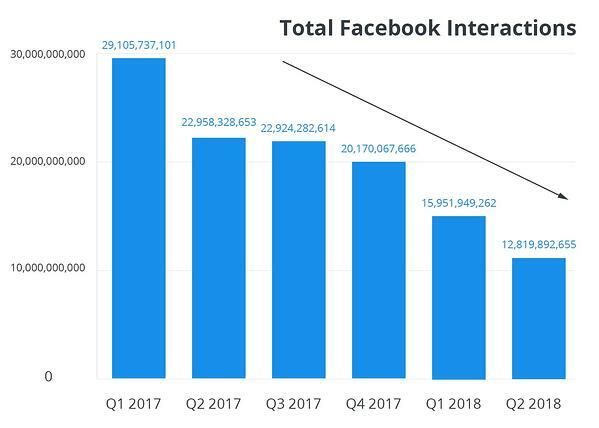 And while there’s always room for the element of surprise, given the sentiment we’ve measured about the widespread reluctance to leave Facebook, its audience of 2.2 billion users seems unlikely to be replaced within the next year. Last — but certainly not least — we arrive at one of our top stories of the year, and it’s about Google. 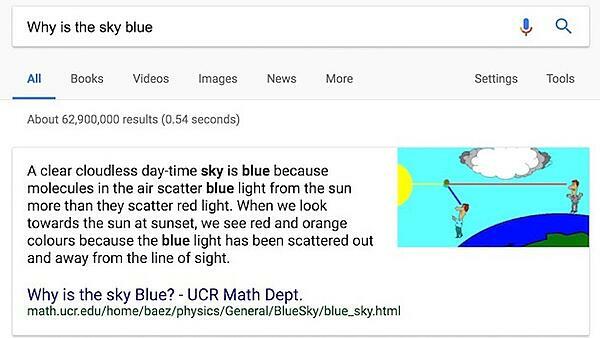 In 2018, the search engine giant decided to shed a bit of light on featured snippets: a concise response to a Google search query. It’s displayed on top of the general results, and also includes the page’s publication date, title, and URL. 2018 saw quite a few changes for Google’s search engine results page (SERP) — from experimenting with double featured snippets to, well, no search results at all. In the context of that latter development, the #10 story on this list almost seems like old news. 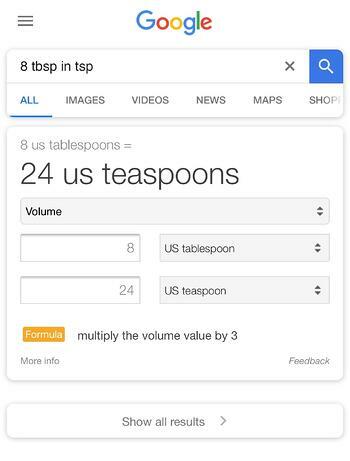 But, yes: We’ve officially arrived in the “zero search results era,” where Google provides a single answer to queries about local time and mathematical conversions or calculations — e.g., “8 tbsp in tsp” — without displaying any other search results. If this development seems to align with some of our thoughts and stories of voice search — that’s because it does. In fact, it could be argued that we were living in a zero search results era even before the above feature was officially discovered and confirmed by Google, since voice search results don’t actually yield a visual list of links to visit for information. And as voice assistants continue to make their ways onto a growing number of smart hardware devices, it’s highly likely that this trend will continue. Cheers to what all of this will look like — or sound like — in 2019.